Dubai: Institutional philanthropy in the UAE has grown exponentially, with nearly half of all formal foundations established since 2006, but challenges remain, a new report says. 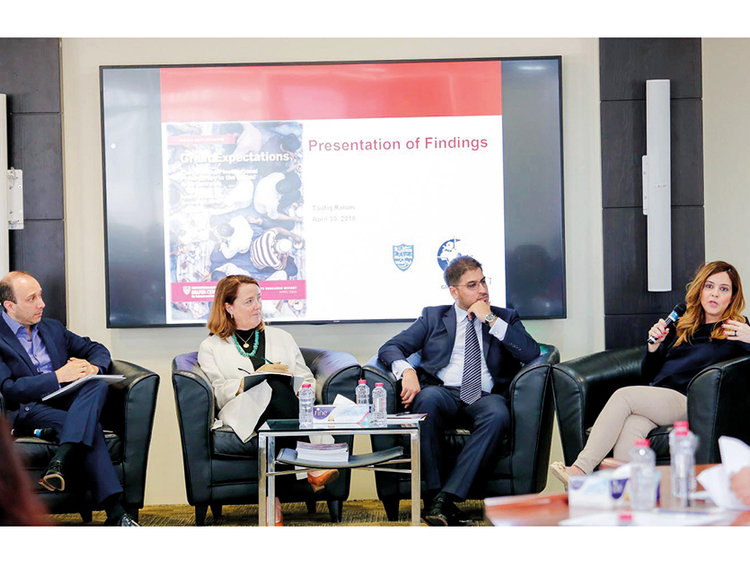 One challenge is the lack of data in this sector and the other is tighter fund-raising regulations, says ‘Great Expectations: The Growth of Institutional Philanthropy in the United Arab Emirates’, presented for the first time on Monday in Dubai. The study’s co-author, Paula D. Johnson from Harvard Kennedy School, said there is “growing interest” in institutional philanthropy (philanthropy by independent, registered foundations), but “no real and hard data to describe what is happening”. The study, published by the Middle East Initiative at Harvard University, with UAE think tank Globesight as research partner, supports the first Global Philanthropy Report, also authored by Johnson, who is senior research fellow at the Ash Centre at Harvard Kennedy School. The UAE study was launched at Mohammad Bin Rashid School of Government (MBRSG) in Dubai on Monday. Using its definition for institutional philanthropy, which includes several criteria, the study found there are 42 foundations in the UAE, most of them new and located mainly in Abu Dhabi and Dubai. However, it does not mention the philanthropic spending of these establishments, noting some foundations do not publish annual financial reports. “Most of the organisations interviewed were reluctant to share data on their financial resources (including assets, operational budgets, and giving levels) and very little information is publicly available,” the study says. The study does point out, though, the Organisation for Economic Cooperation and Development (OECD) ranked the UAE first in terms of ODA (Official Development Assistance), relative to GDP (Gross Domestic Product) in 2016, when it distributed $4.1 billion (over Dh15 billion). Taufiq Rahim, executive director of Globesight, who co-authored the study, said: “Through this report, specifically insights on emerging trends, challenges and opportunities, we hope to inform the development in UAE’s philanthropic practice to be more strategic and collaborative. He added that the UAE “has come to be recognised as a global centre for philanthropy”. Over half of the organisations (23) are based in Dubai and 11 are based in Abu Dhabi. Together, the two emirates are home to 83 per cent (34) of the foundations. Nearly two-thirds (25) are categorised as government-linked foundations. Of the remaining 17 foundations, seven are independent, six are corporate, three are family, and one is a ruling family foundation. Main priorities include education (14 foundations); health (12); art, culture, and historic preservation (10); religion (7); and charity to the poor (7).